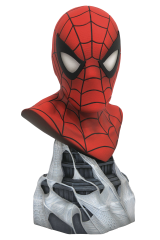 This Legends in 3D bust features the legendary icon of the Marvel Universe, Spider-Man! 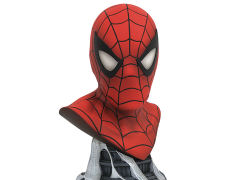 This 1/2 scale Spider-Man bust is made of resin and measures approximately 10 inches tall and features incredible detail that's larger than life. Limited to only 1000 pieces, this Spider-Man collectible comes packaged with a certificate of authenticity in a full-color hand-numbered box. Designed by Joe Allard. Sculpted by Joe Menna. Make sure to complete your Marvel collection with the limited run 1/2 scale Diamond Select Spider Gwen bust!